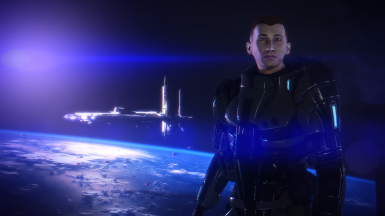 Level 60 Sentinel Male Shepard with 100% completion of assignments (barring Pinnacle Station). Decisions were primarily Paragon. A majority of the decisions in this save were Paragon. However, some Renegade options were taken, as this was played by making decisions I would make. Furthermore, the in-line console was used to get the Hazard armor I use, as well as max out all of my Shepard's skills. The rest is entirely from doing multiple playthroughs. - Garrus is Paragon on the C-Sec path. - Dr. Chloe Michel blackmailer was persuaded. - Received the trinket from the consort. - Fist killed by Wrex. - Citadel: Homecoming Body returned to Samesh? No. - Helena Blake Alive or dead? How did you treat her? Alive. - Possessed Asari (Shiala(Thorian plant)) Freed. - Completd all mineral/Insignia/Matriarch Writings gathering sidequests.